The Balham project is nearly done. And today we presented our planting plans. So another lunatic, going through my presentation, talking to myself drive to Hampton Court this morning. And eighteen of us with five minutes each to show what we’re made of when I got there. No client today. She’s coming in next week. Instead we were presenting to Terry, the man in charge of the Hampton Court gardens. So that’s not scary then…. 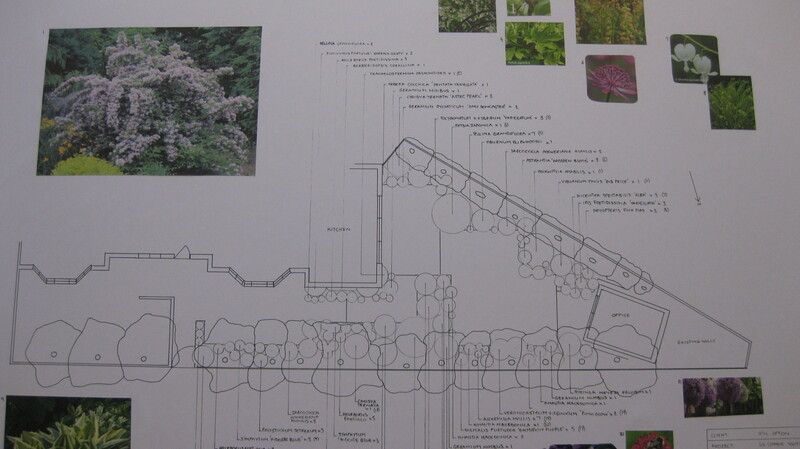 The planting plan stage of this Project has been really challenging. It was a difficult site to choose plants for – dry shade on all sides and an awkward shape. And I kept changing my mind about the plants I wanted to use…. But in the end I had to make decisions and commit myself to paper. And I was really proud of myself. Because look…..
And I did some sketches to go with it. 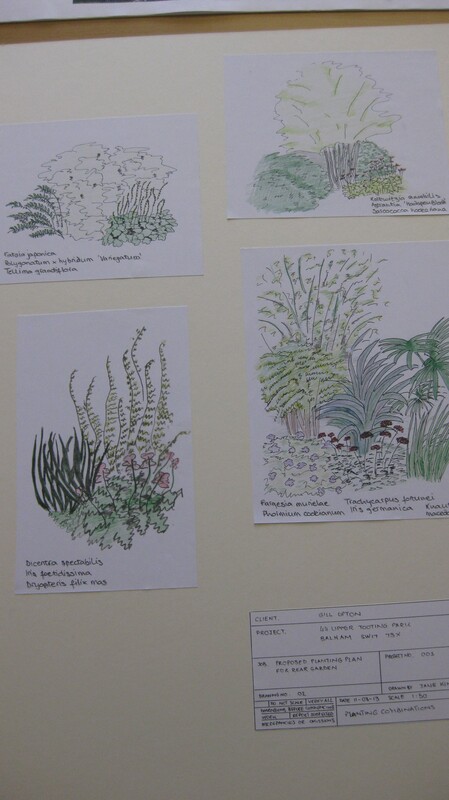 To show what some of the planting combinations would look like. Me…. Sketching…. And actually showing people my sketches. As part of a presentation. Two months ago I would never have believed it was possible. Which just goes to show what good teaching and not being hung up about getting it wrong can do for you. Because you don’t know what you can do until you give it a go. Lovely to hear from you. Gussy is one of my favourite people on the course and I love hearing all about her family. I’m really hoping to come and see your lovely garden some time soon.